Real Psychic Readings--What Is A Real Professional Psychic Reading and Why Should I Want One? When you call for a psychic reading, you need to determine if you are speaking with a real professional psychic or an entertainment psychic. 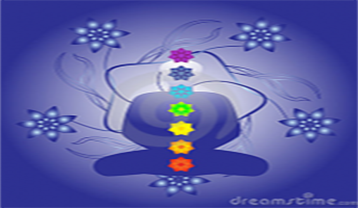 Find out how to find a professional psychic now. Many people seek psychic advice without realizing that what they find are entertainment only psychic readings and not real professional psychic counseling. There is a big difference. People new to psychic readings have no idea what to expect from a reading and may naively believe that if someone says they are psychic, then it must be true. That is why I am writing this article, so that new seekers as well as seasoned seekers of psychic advice can be armed with knowledge about getting professional psychic readings vs. non-professional psychic readings. When you encounter a network of psychics, you run a very high risk of not finding authentic psychic advice at all. It is now becoming very well-known that psychic networks are the largest purveyors of fake psychics and having to go through hundreds of readers to find a real one is not only time-consuming but it can be very costly. Many sad and even angry seekers of real psychic readings have found this out the hard way. After calling hundreds of psychics on a network, they have found themselves disillusioned, disappointed and angry that they believed that they were getting the truth, when in fact, they were getting fabricated stories. I cover many of these details in my other articles, but the reason for this is because there are not as many real psychics working on networks as there are fake ones. I have found that some of them are well-intentioned but really do not have the ability they wished they had and some of them have just honed their skill at giving scripted or cold readings (basically a skill at getting information from the client and making it seem as if they are telling you the information). Never assume that you are talking to a real professional psychic on a psychic network because the majority of them are fake. This is a plain and simple fact. Right off the bat, you are at a disadvantage and you have to BE DETERMINED to be discerning in your selection if you choose to call psychics on a network. Search for real psychic readings or authentic psychic readings; also try searching for professional psychic readings or professional psychic counseling. Take your quest seriously or you can just go ahead and call a bunch of network psychics and entertain yourself with their made-up details. But if you do, do not think that what they are saying has any validity or you may fall in the trap of calling way too many psychics just to verify what you’ve been told. If you do this, you may find they say a lot of the same things because when you get a scripted psychic, they will all sound the same. Ever got a dozen readings and they all say the same thing yet they were all wrong? This is the trap. Don’t fall into it. If you find a true professional psychic by referral or research, search for their name on the search engine. On networks, you do not know who you are calling. They don’t use their real names and you don’t know who they are. They are unknowns. Try to get to know about the psychic counselor you are calling. Even though you may think it’s fun to call many psychics “just to hear what that one will say” you are not going to get what you are truly looking for spending your time and money on fake readings. If you are lonely and need someone to talk to, maybe this is OK.
You want a professional, so look for one. The psychic network experience can waste your time and money, so search around for someone who has established themselves in providing real and professional psychic intuitive guidance who can provide you with an authentic experience like a private psychic consultant. Of course, I must always warn you to stay away from the gypsy psychic houses that proliferate the world because in these places you will find the con artist, the fraud. Evil people preying upon vulnerable people waiting to take you for as much money as they possibly can, many times draining every financial resource you have until you have no more resources, only to find out in the end, they were never real and never cared about you. They are NOT spiritual people, they are thieves. If a psychic tells you you have a curse or negativity that needs to be removed, leave immediately or if you are on the phone, hang up. They’re setting you up. In summation, the psychic industry is something that was set up to entertain and imitate what real psychics do. There is real talent out there and professional psychics doing very honest work using their gifts responsibly. There numbers are not in massive numbers. That in itself would be amazing-actually finding thousands of real psychics in one place. Everyone has intuition; everyone was not born to provide services that use spiritual gifts to assist people in their lives. Being a professional psychic requires training, skill, experience, knowledge, integrity. Being a professional psychic means they are getting paid to provide a real service not trick you into believing they are psychic. If you want a real psychic reading, then look for it carefully. Learn about what a psychic really is, search for what a psychic can really tell you and how to spot a fake psychic. Form a question in your mind about real psychic readings, then research it first, then make an informed decision. I know many people are hurting and need someone to talk to; hold on and look for someone who really can help you and has your best interests at heart. 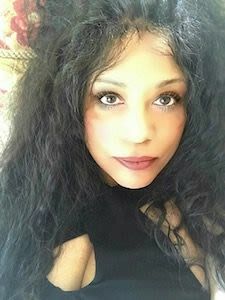 Cherry Sage is a professional psychic who owns and operates one of the top quality psychic web sites on the internet today. Her main focus is authenticity, honesty and integrity. 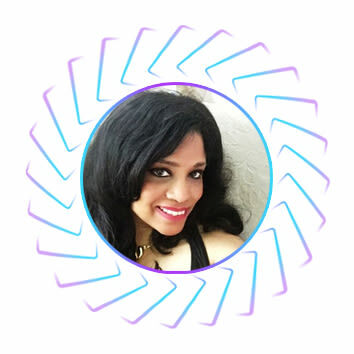 One of her missions is to make sure that everyone looking for a real professional psychic reading or tarot card reading will be able to find certified authenticity and quality service–to change the existing “imitation” psychic paradigm. Her many followers trust in her advice and her accurate predictions. You can read hundreds of inspiring testimonials on her website. 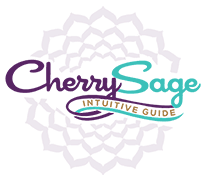 Click here to read more about Cherry Sage.